If you’ve had it with the traditions, the big meal prep, or just sick of the family. 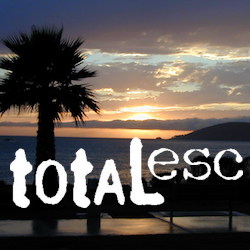 Maybe you are a solo traveler, or a new transplant to California and need to explore more. Take a holiday away – for once this time. Camping for turkey day? What a concept. California is the perfect place for camping, all year long! California mountains often have snow during November. Avoid camping in snow @ 4000-5000′ elevation and above; Freezing temps above 3000-4000′ elevation. 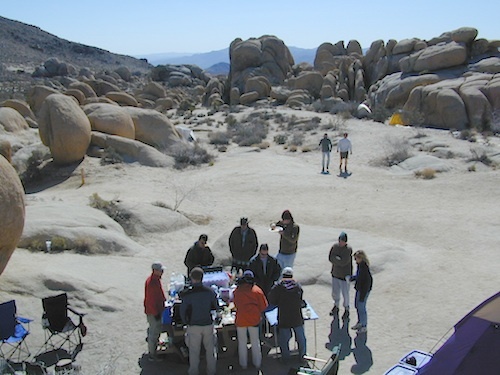 Deserts, coastal regions and foothills are top choices for late Autumn car camping. Always check the weather ahead of departure, and have a plan B as an alternative. NorCal will be much wetter than the rest of the state. MEALS: Prepare dinner meals ahead of trip departure. Bake turkey days before your trip and create meals based around that. Make mash potatoes at home and don’t forget to bring the butter. Pack pre-baked turkey for sandwiches, plus other quick snacks & meals for on-the-go travel. Desert Camping is premium at this time of year. Luckily the eastern half of Southern Cal is desert. The lower the elevation, the better the temps will be overnight. Be prepared for wind when the ‘storm fronts’ approach, the winds do get a cranking! Dirt roads can become flowing washes during a good rainstorm, so know the weather forecast. 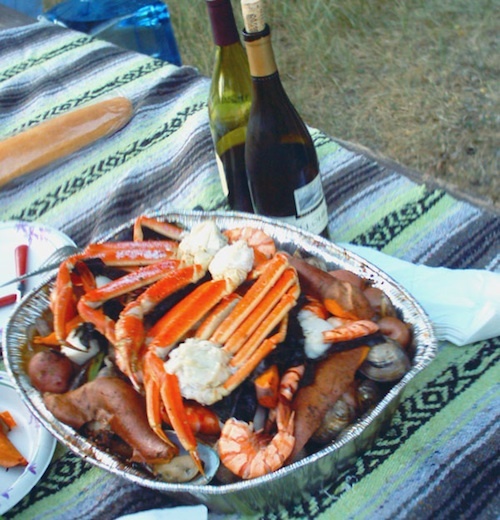 Coastal campgrounds may need advanced reservations. Be prepared for wet weather, especially up north. The redwoods groves are gorgeous anytime of year. Gold County Reservoirs are prime areas for relaxing in nature, while everyone else is out shopping. Oak hills, rivers and canyons. RV campers love these large lakes; boating, fishing, mountain biking trails, kayak rentals, hiking near historic Gold Rush towns. River Canyons of California are always beautiful destinations in the autumn months. 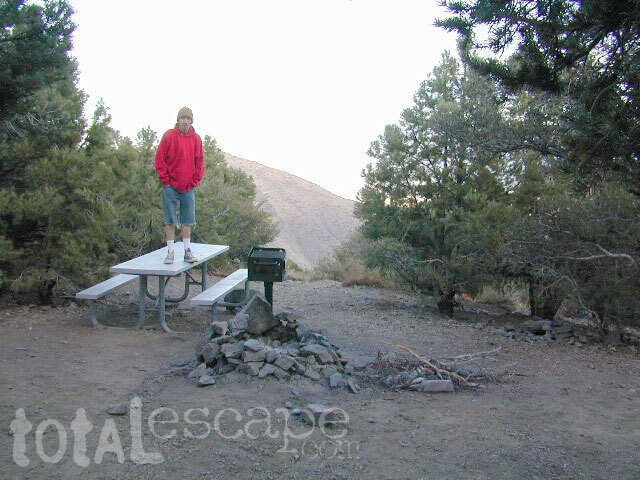 Many campgrounds can be found at lower elevation, river access areas. California’s abundant Hot Springs are also top picks for holiday weekends. Joshua Tree National Park may be busy during this weekend. Instead try nearby Mecca: Box Canyon and Mecca Hills Wilderness, BLM desert lands near Interstate 10. 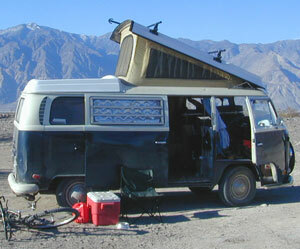 Anza Borrego Desert State Park is always a nice, easy and relatively close get-away for any holiday. Open camping on the backroads (for free) makes it one of the most attractive camping options in all of SoCal. Many dirt roads are accessible for passenger cars, if extreme caution is used. Don’t plan on driving more than a few miles on dirt. Masses of off roaders love to camp out, especially on Thanksgiving weekend. Wheel all day, eat, drink, bon fires every night and rumor has it ‘they roast their big bird outdoors – deep in a dirt pit’. Really? 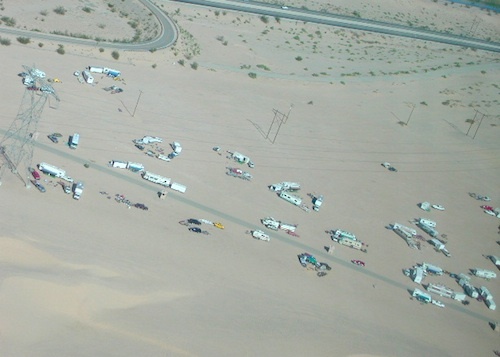 El Centro, Glamis, Imperial Dunes, Ocotillo Wells, Truckhaven Hills, Johnson Valley. All popular off roading areas in Southern California, so consider yourself warned. Jawbone Canyon expect to see RVs, toy-boxes and families outside enjoying the weekend. OHV style. Often the group tries to create a round corral with their huge convoy of vehicles, to keep thru traffic to a minimum around “their camp”. Just stay well away from those gear-heads. In general, it is a very busy area around Mojave up to Hwy 178 during the holidays. Try high desert Horse Canyon instead. Death Valley National Park is one of the best destinations for Thanksgiving, cuz Panamint Springs serves their free turkey dinner.